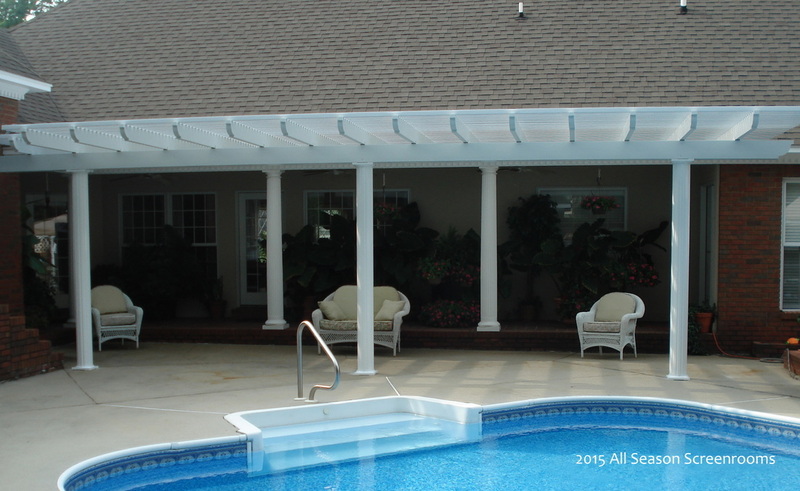 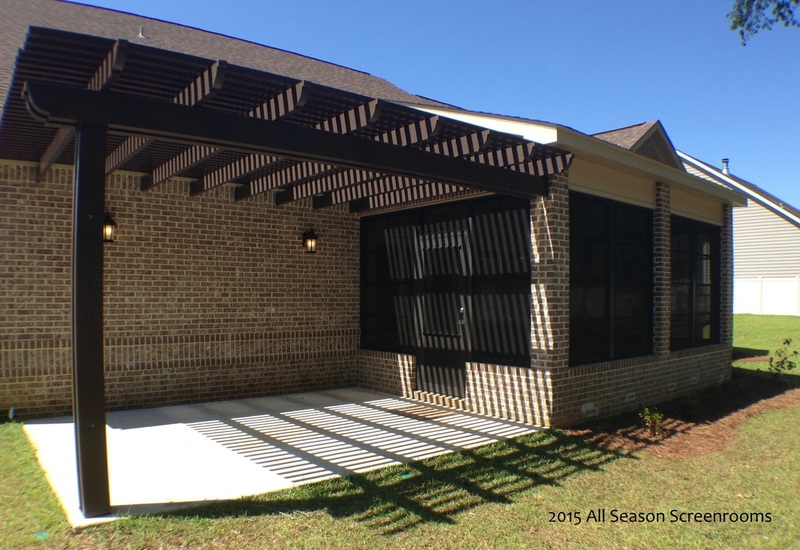 Our low maintenance Pergolas are a beautiful addition poolside and over the patio. 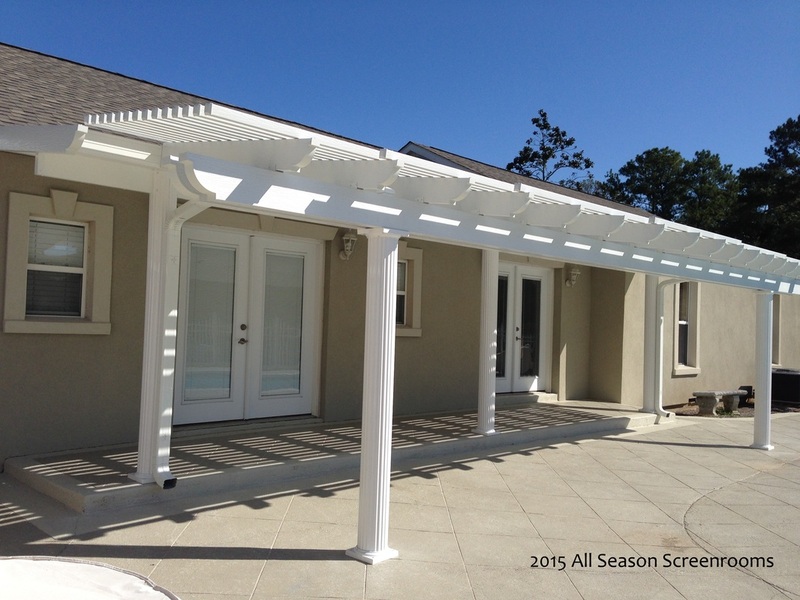 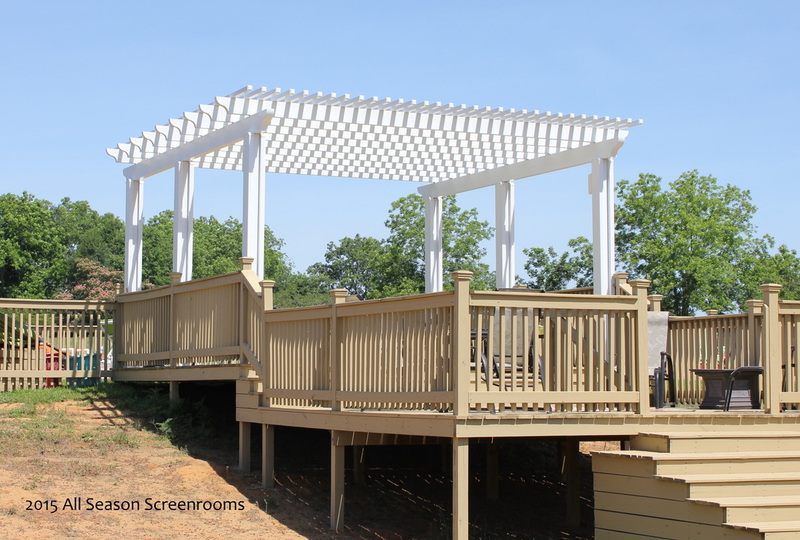 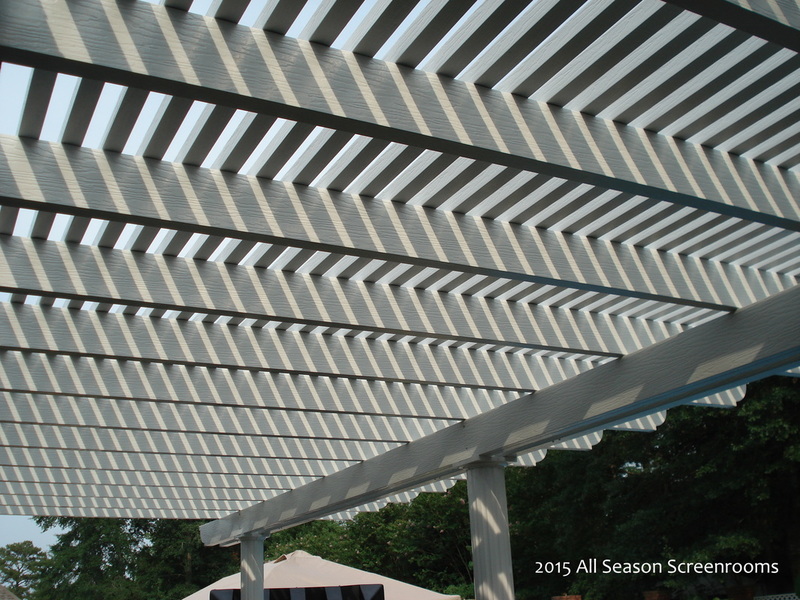 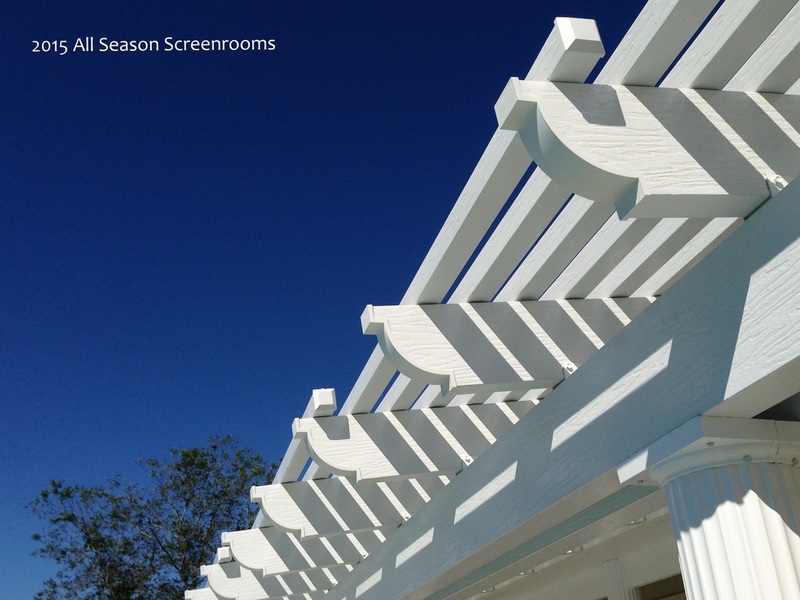 Customize your pergola with white or bronze metal and shade from 40-60%. 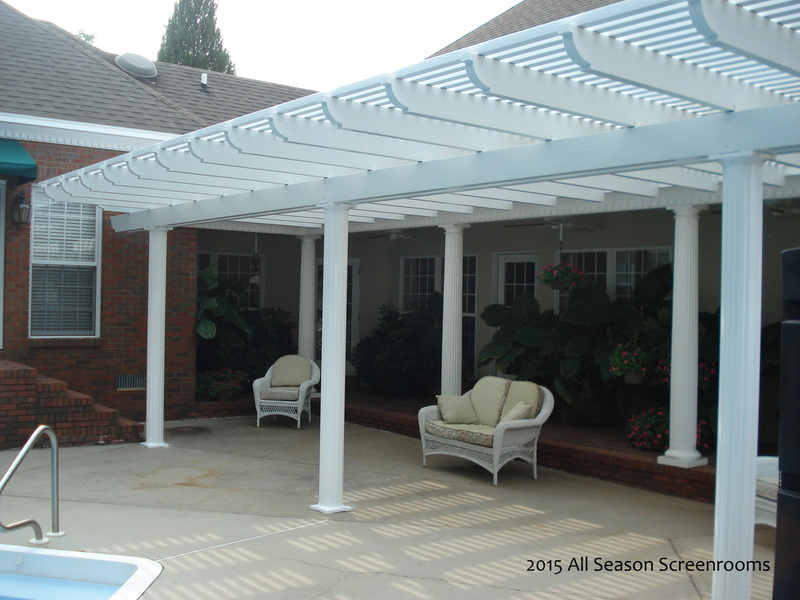 Pergolas are perfect for a sunny and airy place to relax. 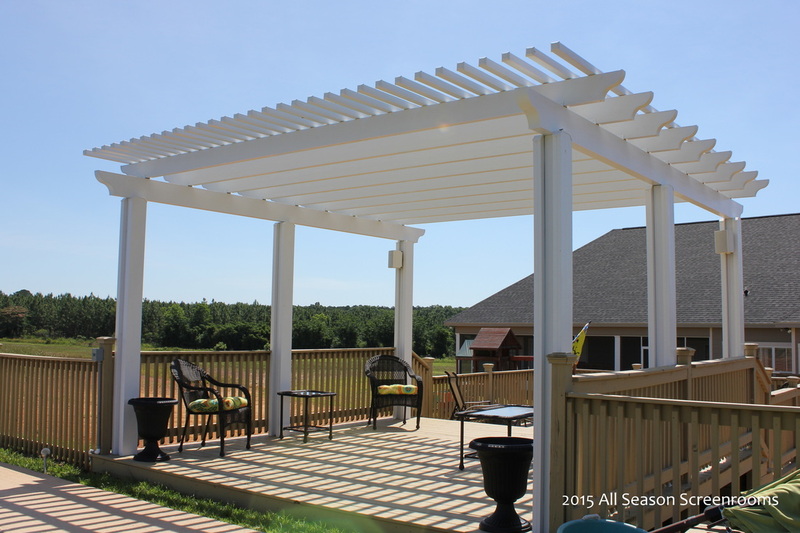 White pergola attached to an insulated top.